A Food for Life Early Years Award is a great way to demonstrate that your nursery or children's centre is giving every child in your care the best possible start to their food journey. It shows the wider world you're providing tasty, nutritious meals in an environment that creates great social skills. You're also sowing the seeds of good food habits for life through practical cooking and growing activities and food-based learning - both for children and their parents and carers. The award has been developed working closely with early years settings and using expert learning from our flagship schools award programme - which has shown through independent evaluation to make a positive contribution to pupil health and wellbeing. Our great value awards packages are designed to support you through any changes you may need to achieve this. They are based on a flexible framework so you can approach your award in the way that works best for you. These are available either to settings directly, or via a local authority commissioned programme where they are further enhanced by training and local 'on the ground' support. Whether you are just looking for fresh ideas or your nursery or children's centre is serving up both fantastic food and imaginative food education and you want to demonstrate this to the wider world, we have something for you. We offer two packages for you to choose from, the Food for Life Early Years Membership Package and the Food for Life Early Years Awards Package. 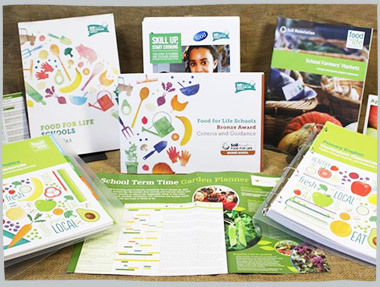 All Food for Life early years settings can now access the beautiful digital resources from Jamie Oliver's Kitchen Garden Project through your Food for Life Membership or Awards Package. 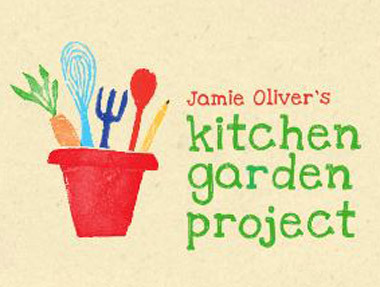 As well as step-by-step Jamie Oliver recipes these include lesson plans and curriculum-linked activities giving you even more flexibility in the ways you can offer practical cooking, growing and food-based learning.